16th Alabama - Major John H. McGaughy. 33d Alabama - Colonel Samuel Adams. 45th Alabama - Colonel E. B. Breedlove. 18th Alabama Battalion - Major John H. Gibson. 32D and 45th Mississippi - Colonel M. P. Lowrey. 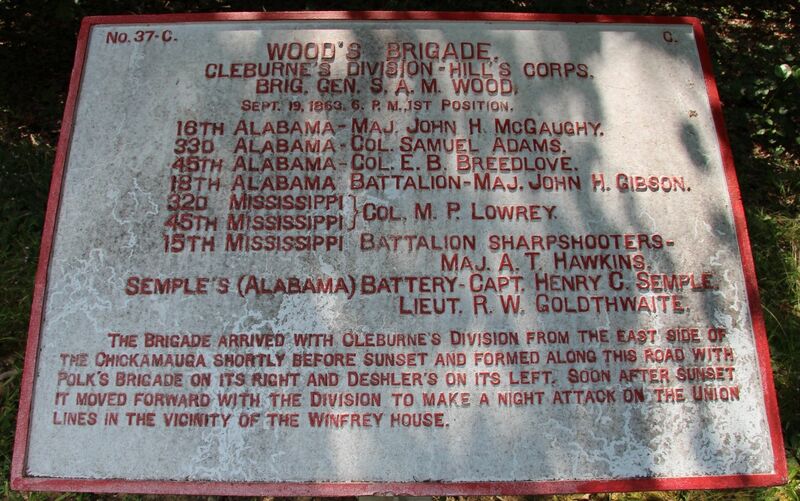 15th Mississippi Battalion Sharpshooters - Major A.T. Hawkins. Semple’s (Alabama) Battery - Captain Henry C. Semple. Semple’s (Alabama) Battery - Lieutenant R. W. Goldthwaite. 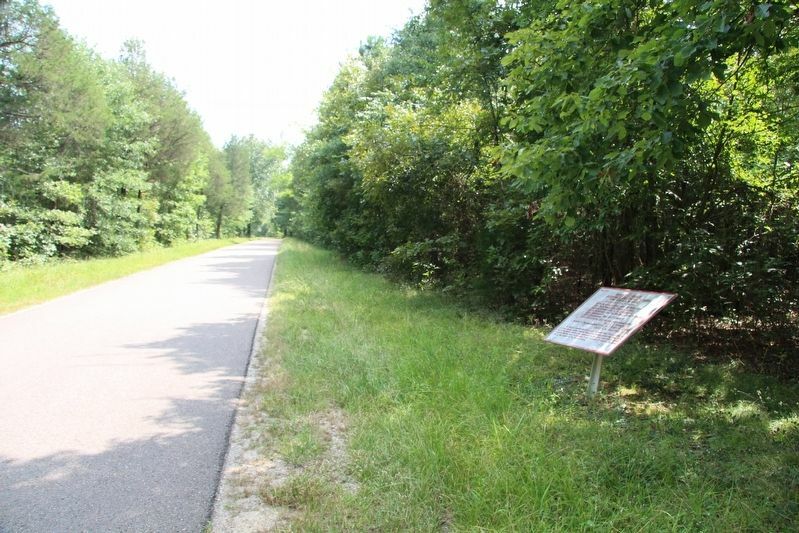 The Brigade arrived with Cleburne's Division from the east side of the Chickamauga shortly before sunset and formed along this road with Polk's Brigade on its right and Deshler's on its left. Soon after sunset it moved forward with the Division to make a night attack on the Union lines in the vicinity of the Winfrey house. View of the tablet looking north along the Jays Mill Road. 55.331′ N, 85° 13.977′ W. Marker is near Fort Oglethorpe, Georgia, in Catoosa County. 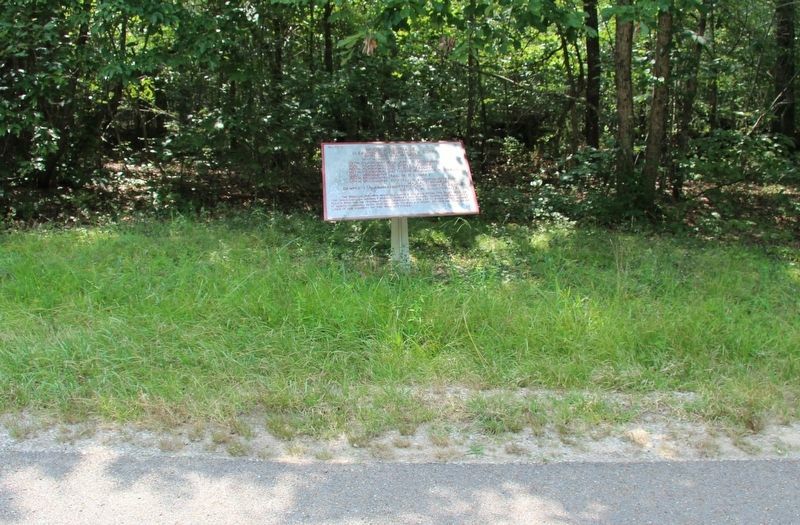 Marker is on Jays Mill Road north of Alexander Bridge Road, on the left when traveling north. Touch for map. The tablet is located on the west side of the roadway, a few feet off of the roadway. Marker is in this post office area: Fort Oglethorpe GA 30742, United States of America. Touch for directions. Other nearby markers. At least 8 other markers are within walking distance of this marker. Cleburne's Division (about 300 feet away, measured in a direct line); Walker's Division (about 400 feet away); Wilson's Brigade (approx. ¼ mile away); Field Headquarters - Army of Tennessee (approx. 0.3 miles away); Bragg's Headquarters Shell Monument (approx. 0.3 miles away); Jackson's Brigade (approx. 0.3 miles away); Deshler's Brigade (approx. 0.3 miles away); 1st Battalion Georgia Sharpshooters (approx. 0.3 miles away). Touch for a list and map of all markers in Fort Oglethorpe. View of the tablet looking south along the Jays Mill Road. 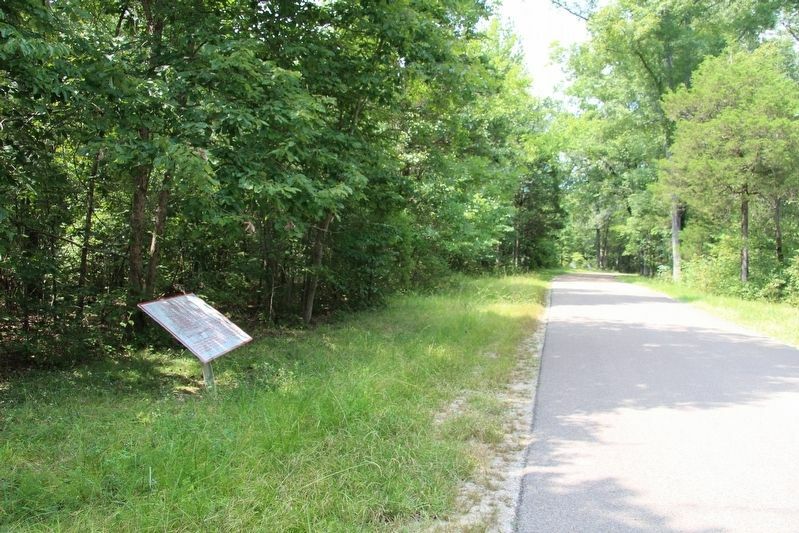 View of the tablet a few feet off the roadway, near the tree-line of the nearby woods. More. Search the internet for Wood's Brigade. Credits. This page was last revised on August 14, 2017. This page originally submitted on August 14, 2017, by Dale K. Benington of Toledo, Ohio. This page has been viewed 87 times since then and 6 times this year. Photos: 1, 2, 3, 4. submitted on August 14, 2017, by Dale K. Benington of Toledo, Ohio.